Providing caring and professional medical services and health education to the Ocean Reef Community. is to provide caring and professional medical services and health education to the Ocean Reef Community. Put your mind at ease. MCOR is ACR Accredited. We're also Florida's first SERF-certified healthcare facility. Provide collaboration and partnership with leading specialty providers. For your convenience, the Laboratory opens at 7:30 a.m.
Monday through Friday during the months of November through May. We hope you had a chance to attend some or all of the lectures in the 2018 Medical Center Lecture Series. The Medical Center hosts a series of informative and entertaining lectures by leading members of the healthcare community during the winter and spring of each season. Check this space later this year for information about our exciting 2019 season! You can read about our past lectures by visiting our Lecture Series page. We look forward to seeing you next season! 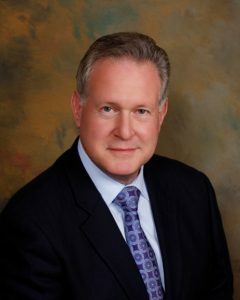 Watch "Processed Food: An Experiment that Failed"
The Medical Center was proud to welcome renowned Neuroendocrinologist and Pediatric Professor Dr. Robert Lustig to its 2017 Lecture Series. Dr. Lustig's lecture, entitled "Processed Food: An Experiment that Failed," was a highly informative and entertaining look at what's happened to the American diet over the last 50 years. Watch Dr. Lustig draw correlations between American eating habits and chronic diseases like obesity and Type-2 Diabetes by clicking below or on his photo at left. For more information about Dr. Lustig's lecture and his background, click below. A New and Improved Medical Center! 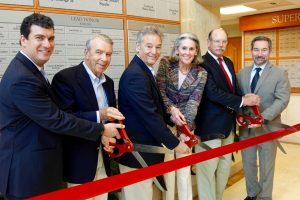 The Medical Center at Ocean Reef held a ribbon-cutting ceremony on Jan. 9, 2017, to mark the beginning of a new era in its history: The completion of a year-long, $6.5 million renovation and expansion project that greatly expanded the Center's treatment and technological capabilities. To read more about the project and view a timeline of photos as work progressed, please visit the MCOR Expansion Project page. The Medical Center at Ocean Reef is a grateful recipient of the generosity provided by All Charities Gala. The All Charities Gala was established to enhance philanthropy throughout the Ocean Reef Community. To learn more, click on the logo above. Support the Medical Center by shopping with AmazonSmile. It's the same Amazon you know, but Amazon donates 0.5% of the price of your eligible AmazonSmile purchases to the Medical Center. Your prices stay the same. Click the logo above to begin shopping with AmazonSmile. or click here for an instructional video.